Hidden well within flat areas, Food Foundry is surprisingly comfy and quiet enough as it's actually situated below a flat residential area. I had actually already heard about the raves of this place for it's famous Mille crêpe, which was exceptionally good and hard to be found in KL. 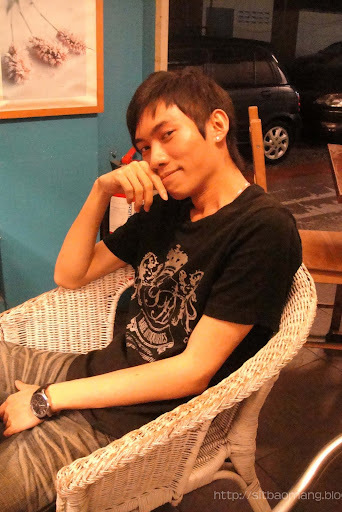 We opted for this place to celebrate one of my friend, Kong Chian's birthday for it's comfy environment. 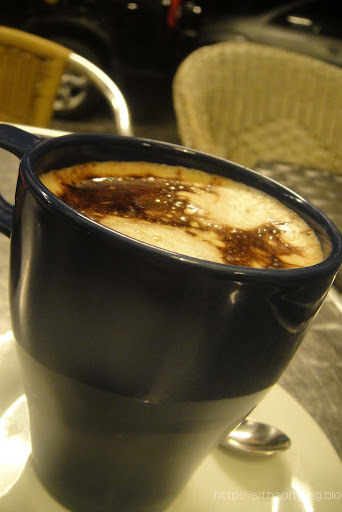 I arrived the earliest, and ordered a cup of Cappucino (RM5.50) while waiting for them to arrive. The coffee was good, being foamy and creamy enough. 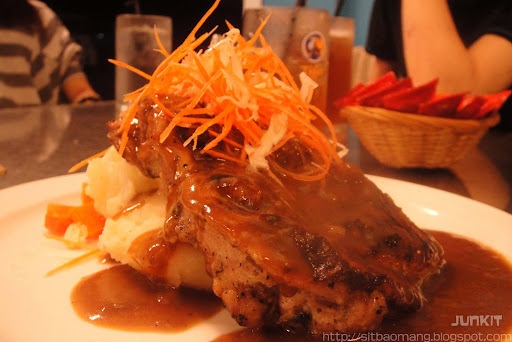 Food Foundry Chicken Chop (RM16), sitting on top a bed of mash and comes with veges on the side. 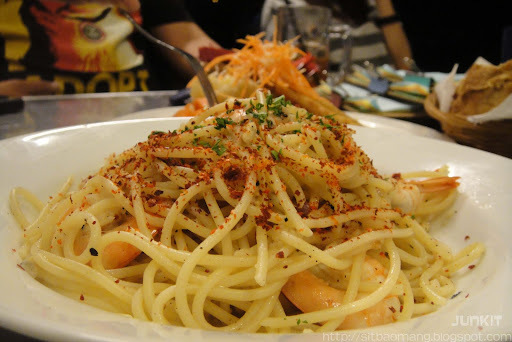 Aglio Olio with Prawns (RM18). I had a bite of it and I felt it's a bit dry. But from what I heard from my friend, the prawn was fresh, which I think could make up for it. 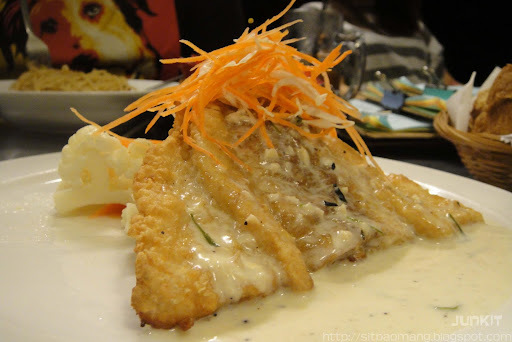 My Pan-Fried Dory with Cream Sauce (RM15). Initially, I thought the dory would come with loads of sauce as per what I had usually, and I smartly ordered a basket of bread for RM2. Was really disappointed when it arrived as I couldn't mop up excessive sauces with the bread at the end. Taste wise, it was really just ok, I had better ones. 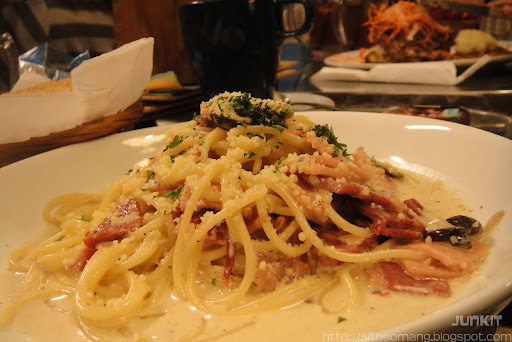 Carbonara (RM17). Didn't get to sample this, but it looks good visually, flooded with cream and cheese. No complains from my friend, so it should be ok! 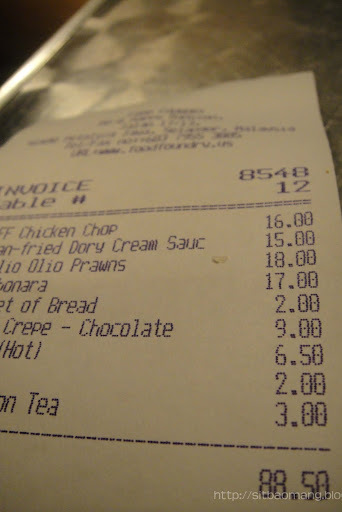 Our overall bill came up to RM88.50. Pretty reasonable for a night out of casual dinner. 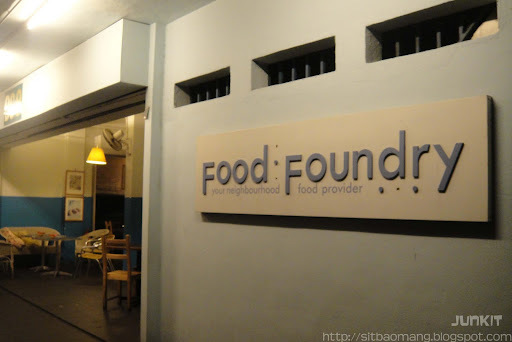 My opinion, Food Foundry is really good for what it's famous for, their deserts. I would stick to just deserts should I return, as I felt their food items are really just so-so. It's not that it's bad, it's just that I had tasted better ones within that price range. Still, their Mille Crepes are really good and worth the journey, but do try to come early for the deserts as I heard the consistency of freshness really drops on more quiet days. Some guy whore personal shots of the day. 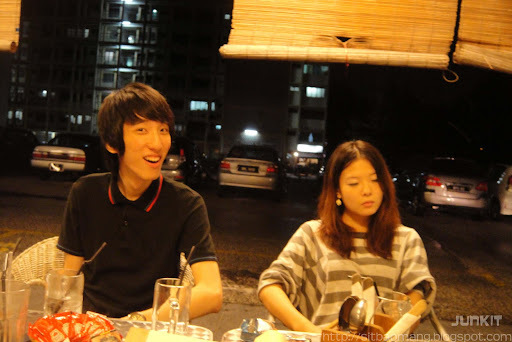 The emo birthday boy and his partner. 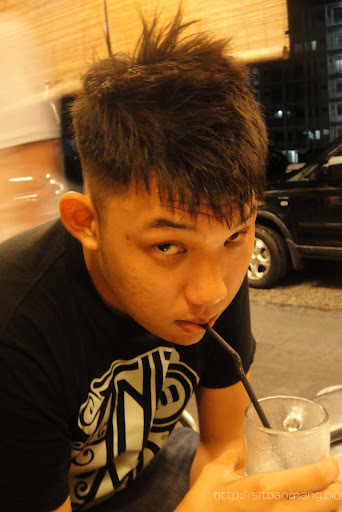 Kelvin. He insisted for a shot like this. 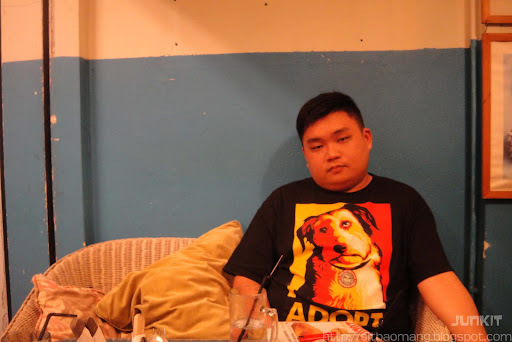 Mr. Boss. Why so serious?